Traditionally, the communities along the western coast of Wales thrived on maritime trade and fishing. The produce of the farmland and minerals, rocks and slate of the uplands were exported through ports such as Pwllheli and Porthmadog and coal, lime, timber and other goods were imported. 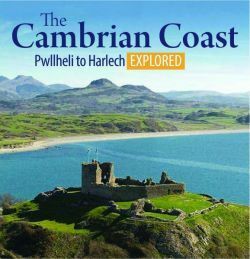 This book looks at the Pwllheli to Harlech part of the line. The Cambrian Coast Railway The Cambrian Line (Welsh: Llinell Cambria) is a railway from Shrewsbury to Aberystwyth and Pwllheli in Wales, constructed between 1855 and 1869. It is one of the most scenic railways, running through the Cambrian Mountains of central Wales and along the coast of Cardigan Bay and its panoramic estuaries.